The Spaniard insisted on Thursday that the three-time major winner Harrington must produce “at least a win” in The Barclays in New York to claim one of his two wildcards on Monday. While some believe Olazábal has been especially harsh on the Irish star, he begs to differ. “Well he is as close as some other players. Not closer than other players,” Olazábal told Sky Sports. “Simple as that. “If you look at the list he is well back there, isn’t he? Sergio [Garcia] needed a win or a top-three last week to make the team, he is not any different to Sergio, is he? So I don’t think [sic] what it is all about. 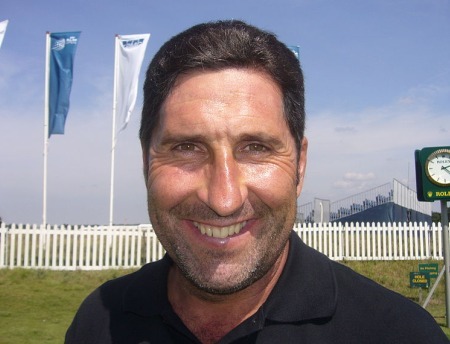 When asked if he had a problem with Harrington, going back to the 2003 Seve Trophy, Olazábal said: “If people believe that is interfering with my jugement, first of all they are completely wrong.